The Irish Examiner is one of Ireland’s national daily newspapers. It has its headquarters at Lapp’s Quay in Cork City and circulates chiefly in the south of the country, especially in the Munster region. It is one of the longest surviving national daily newspapers in Ireland. The Irish Examiner is published in broadsheet format and has a circulation of around 70,000. When first published in 1841 the paper was known as the Cork Examiner. It was an evening paper published three times weekly. It was later published six times weekly as a morning paper. 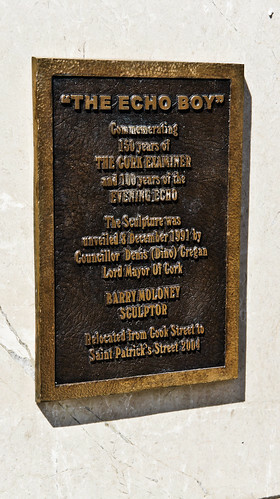 The paper was known as the Cork Examiner until 1996, when the name was changed to the Examiner. In 2000 the name was changed to the Irish Examiner. The Irish Examiner was first published in the year 1841 On This Day.